My journey has come to a conclusion, and we are one hour from docking at the naval base in Newport, RI. What a privilege it is to be a part of this scientific mission. The substantial photos, videos, data and experiences will greatly enhance my physical and earth science curriculum and further my goal of getting students interested in fields of science. This journey has reinforced my position that a nation cannot advance and improve the quality of life without scientific research. Every job aboard a research vessel is mission critical, and one is not more important than the other. 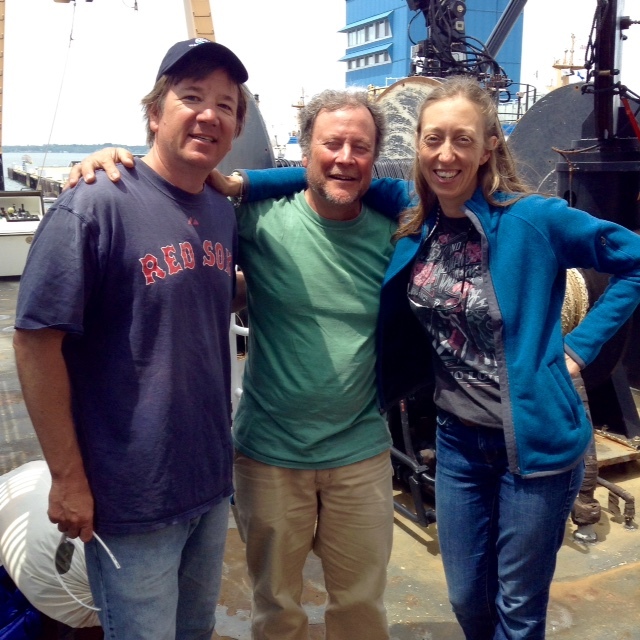 During this excursion, I had the pleasure of meeting some of the crew and scientists that made this tour a success. Pat began his career studying Physics at the University of North Carolina, Wilmington and earned a master’s degree in oceanography while attending Dominion University in Norfolk, Virginia. When asked how he got involved in the NOAA Corps, he mentioned there were two well defined career paths as an oceanographer: NOAA or teaching. He advises students who are considering the NOAA Corps to build operational leadership skills and to demonstrate that you can work in a team and complete a job when assigned. A few of his favorite places he has visited while employed with the NOAA Corps: Farallone Islands Ca, Alaska bays and inside passages when hiding from storms, and Dutch Harbor located among the Aleutian Islands in Alaska. Julianne is a recent graduate of Oregon State University and received a BS in zoology, and she is currently working on her master’s degree. Her path with NOAA started as a recipient of the Ernest F. Hollings Undergraduate Scholarship Program. This program provides students with scholarship money and paid internships with the goal of fostering multidisciplinary training opportunities within NOAA. After graduating from Oregon State University, Julianne worked in Alaska at a remote salmon hatchery, Snettisham Hatchery. 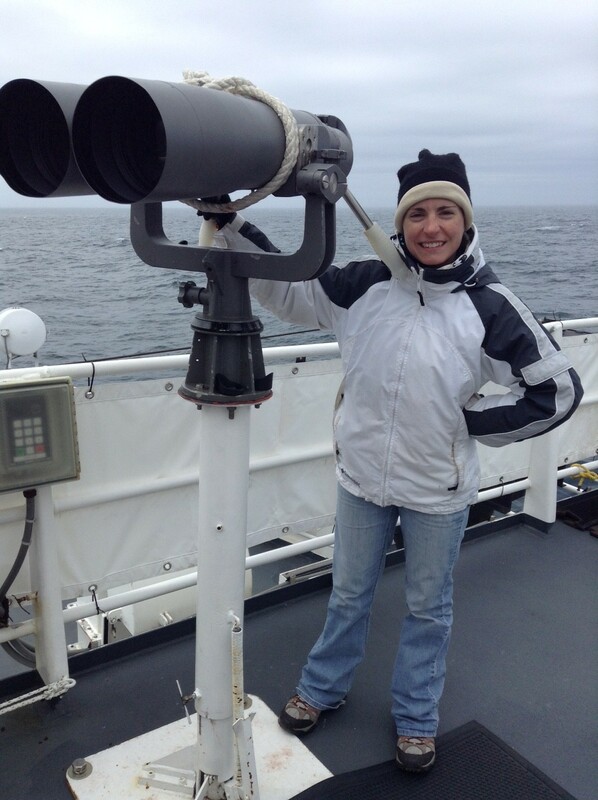 She is currently an acoustician with NOAA’s Northeast Fisheries Science Center as a research analyst focusing on real-time acoustic tracking of baleen whales and the North Atlantic right whale migratory corridor project. 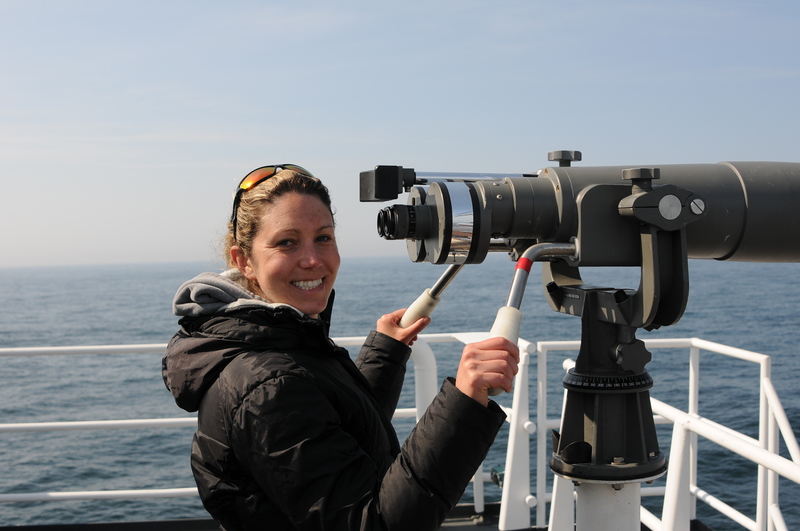 Genevieve was also a NOAA Hollings scholar and worked on North Atlantic Right Whale calling behavior across seasons. Genevieve joined NOAA’s Northeast Fisheries acoustics team as a research analyst focusing on baleen whale acoustics and as an elementary school educational outreach program at the center. She is working on her doctorate in Environmental Biology with a focus on baleen distributions and migrations. Hillary, whales specialist for Fisheries and Oceans, Canada. Hilary became interested in whales at the age of five. “My mom was always super interested in the ocean and we went whale watching often.” She studied marine biology with a focus on seal acoustics. Getting on a boat to see and study marine animals is what she enjoys most about her job. 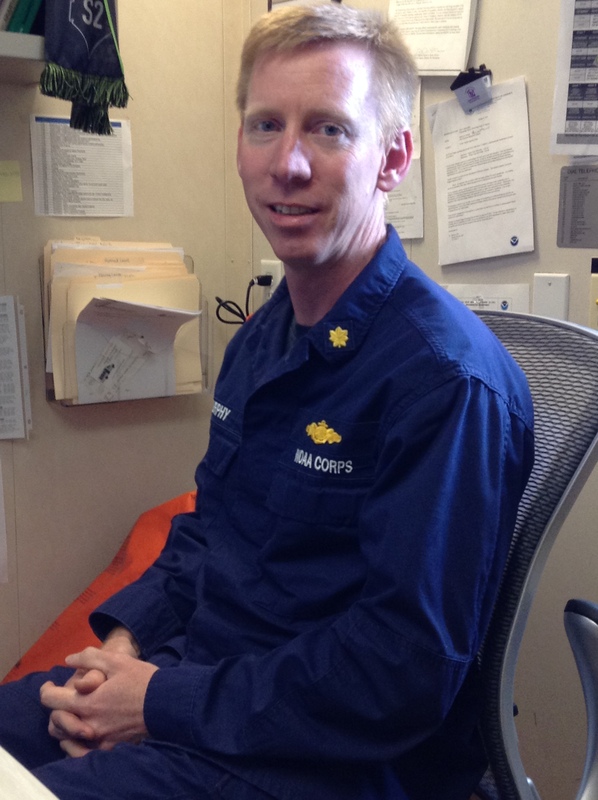 Prior to joining NOAA, Dennis had a career with the Navy for 20 years. 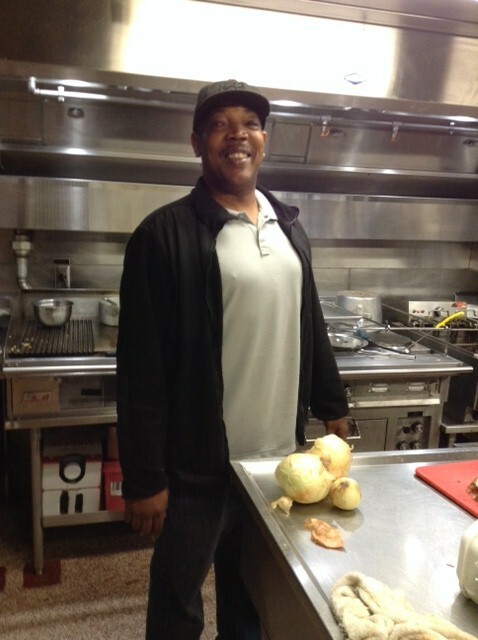 Dennis has one of the most important jobs on the ship, keeping everyone fed. He is absolutely amazing! While I was on duty on the Fly Bridge, around four in the afternoon, aromas from the galley drifted to the Fly Bridge. It was a nightly contest to guess what would be served in the galley. His cooking is so unique that all of our guesses were incorrect; we went 0/5 that week. One night, steak was served for dinner and it was the best steak I have ever had. Thanks Dennis! Marjorie works for NOAA’s Northeast Fisheries Science Center. 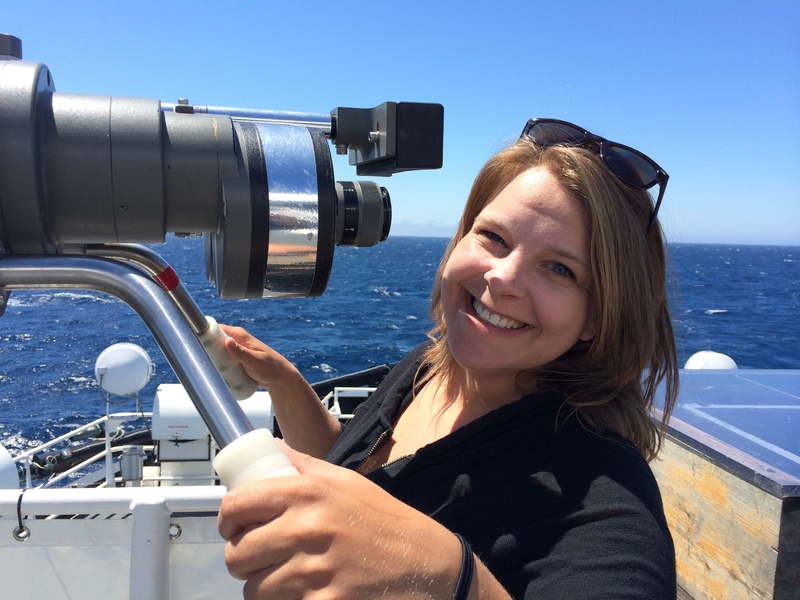 Her job focuses on collecting data from commercial fishing operations. This data provides valuable information on determining if certain fish populations can maintain a healthy marine mammal population. She earned an undergraduate degree in Natural resources from University of Massachusetts, Amherst. She is currently working on a doctorate in Marine Biology from the University of Massachusetts, Dartmouth. This entry was posted in 2015, NOAA Fisheries Service, NOAA Teacher at Sea, Tom Savage and tagged crew, Henry B. Bigelow, scientists. Bookmark the permalink.